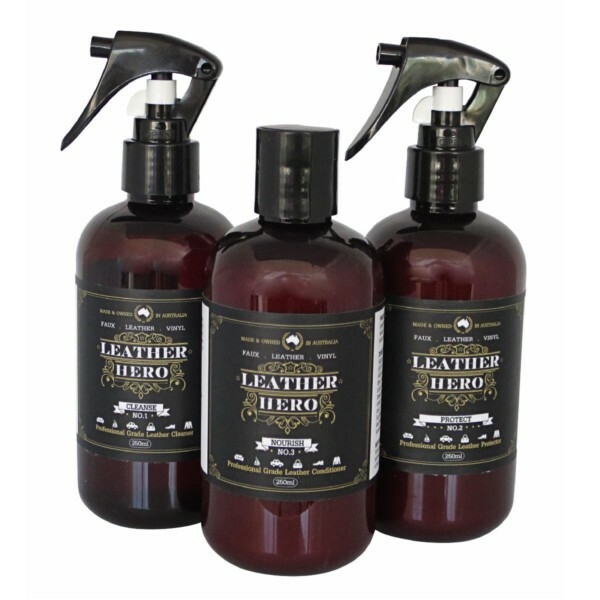 Essential leather care kit including leather cleaner, conditioner and protector. 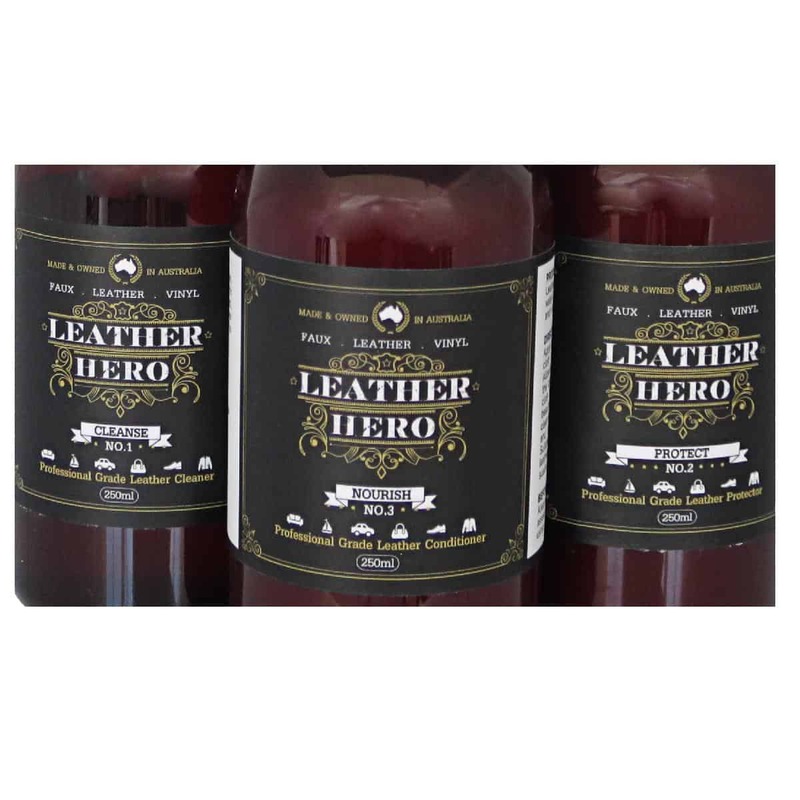 Perfect for use on your leather lounge and car upholstery. 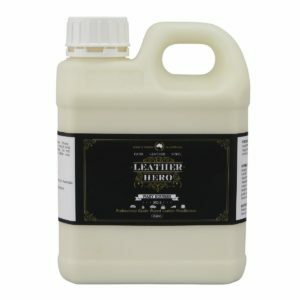 An invisible, breathable anti-soiling barrier and UV protecting shield for your leather. 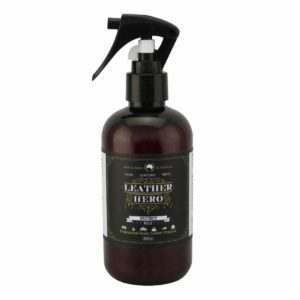 Resists stains and grime and makes your leather easier to clean. 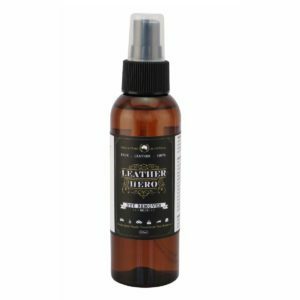 Like leather 'insurance', it is highly recommended for new leather upholstery and helps maintain the beauty and longevity of your leather when used after each regular clean. Looking for new car leather protection? Use Protect (No.2) from Day 1 to get the very best from your leather car seats. A luxurious leather conditioner lotion that helps to keep leather hydrated, soft and supple. 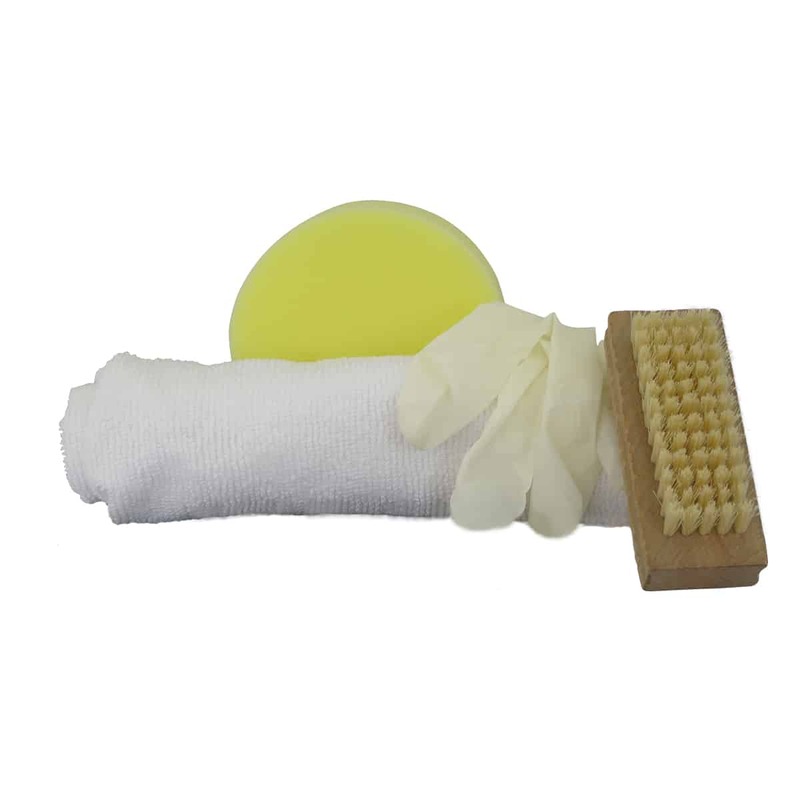 Suitable for use on freshly cleaned auto, marine and furniture upholstery. 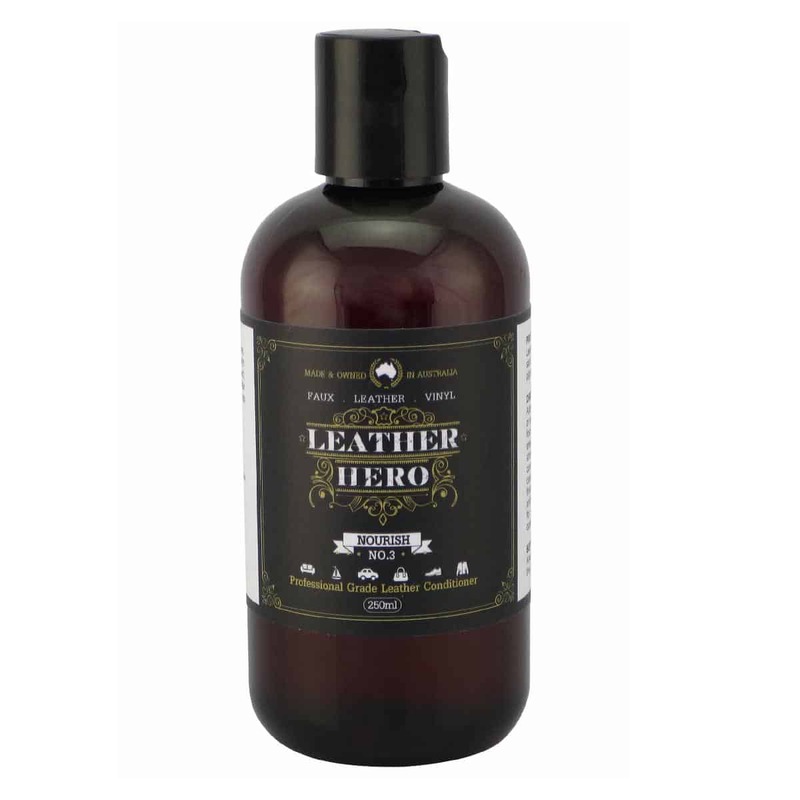 Leather stays beautiful, cleaner, softer and lasts longer with regular applications of Leather Hero's Nourish (No.3). The perfect car leather conditioner, lounge conditioner and ideal for nourishing other leather items. Also available in a leather care kit. Leather Hero’s Leather Care Kit includes your essential maintenance products. Regular care greatly extends the life of your leather and keeps it looking and feeling beautiful for a much longer. This kit boasts professional grade products that produce professional grade results. With regular use, your leather becomes easier to clean and keep clean. Perfect for use on your leather and vinyl car interior, boat seats and home and office furniture. Suitable for finished and man-made leather (excludes nubuck, suede and aniline). Also available in 1L pack sizes and products are sold separately. Included in the kit are 7 pieces.